He’s The Mountain on Game of Thrones. He’s the current World’s Strongest Man. He’s a former professional basketball player. He’s 6ft 9 and over 400 pounds. And he said in a jaw dropping interview with ESPN, when asked if he has ever taken steroids, said “Yes, I have”. For context, Hafthor Julius Bjornsson was an Icelandic basketball player. In 2004 he played as a center, but after only ten game it was discovered that he had been playing with a broken ankle. Talk about tough. He spent some time off, and come the 2007–2008 season, he moved back to play for FSu Selfoss. He averaged 6.7 points per game but soon had to retire because of his ankle. But he didn’t quit. 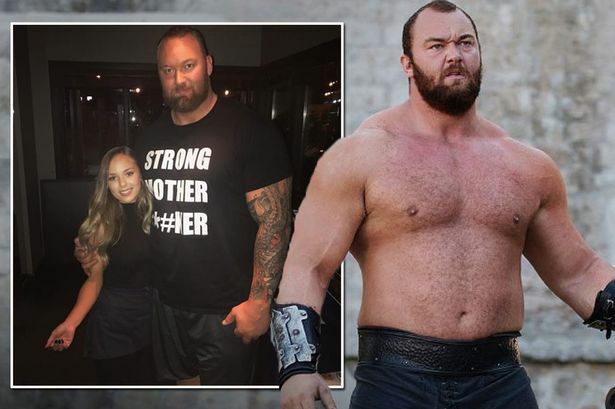 He stayed active and, in a basketball-related metaphor he stole the ball and became the third, and final, Gregor Clegane on Game of Thrones in 2014. In addition to the TV show, he was crowned 2018 World’s Strongest Man “after winning three of the final weekend’s six events in Manila, Philippines” at the ripe old age of twenty-nine. He’s so massive that told Page Six. I bet he could, but that doesn’t undermine my shock at his recent comments. However, he didn’t give us much to go on. ESPN noted that, “Bjornsson did not elaborate on when he has used performance-enhancing drugs. Asked how often he takes steroids and if he’s still doing it, Bjornsson deferred: “Can we just skip those questions?'”. So it’s unknown if Bjornsson is currently using steroids, has only used them during his basketball career or some other period in his past, or has only dabbled in them.